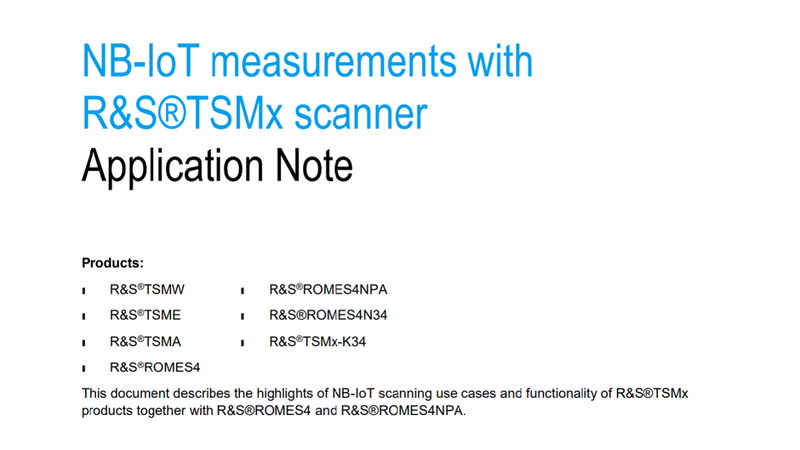 Register to download our Application Note "NB-IoT measurements with R&S®TSMx scanner"
What are typical RF problems in the field? How can the scanner help to solve problems related to NB-IoT? How can we use other scanners (LTE, GSM…) as well to simplify troubleshooting?